There are more than 1,000 avoidable deaths every year in the NHS, UK health secretary Jeremy Hunt has said, pledging to improve the safety record of healthcare in British hospitals. Jeremy Hunt said the reforms will be the “most profound change” during his time at the helm, in an interview with the Sunday Telegraph. “This policy is the most profound change to happen while I am Health Secretary. 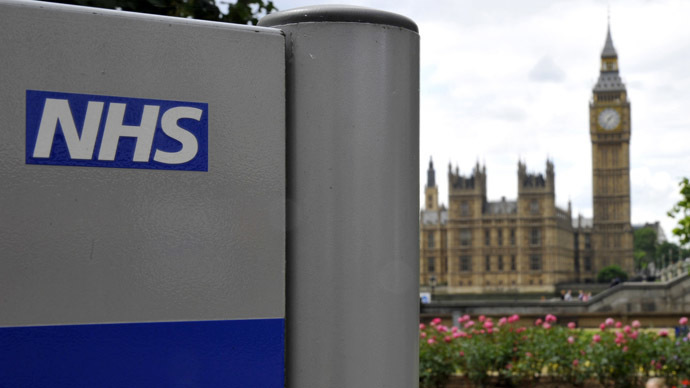 It is about changing behavior and the way everyone works in the NHS," He said. Hunt said the British health service, one of the few ones in the world which is free to all people in the country, must eradicate avoidable deaths by looking at other industries which have done the same. “This is the biggest scandal in global healthcare. Why hasn’t the health service adopted the kinds of standards we now take for granted in the airline and nuclear industry?” he said. As part of his plans, the NHS will annually review a sample of 2,000 deaths at random hospitals across the country. In a positive sign that changes can bring a better standard of care, a report by healthcare analysts, Dr Foster, which was published Sunday, did find a “significant reduction” in avoidable deaths in 11 NHS trusts, which were put onto special measures. A spokeswoman for the Department of Health said that hospitals will be put into categories regarding the number of estimated avoidable deaths. “By March 2016, every hospital board will have the first of an annual series of projected avoidable mortality rates to inform and drive local improvement,” she said. He added that he has also ordered a national name and shame case-note review, which will reveal the percentage of avoidable deaths by hospital. Later this week a report on NHS whistleblowers will be published by Sir Robert Francis QC who was in charge of a scathing report into the Mid Staffs Hospital, a scandal which found that at least 1,200 patients died because of poor care. The report was even delayed by two months because Sir Robert was deluged by more than 18,000 whistleblowers who had lost their livelihoods after speaking out. Hunt promised to protect whistleblowers in the future. “On high death rates, failing hospitals and whistleblowing, we are calling time on the cover-up culture and ushering in a new era of transparency,” said the health secretary. There is also concern that the NHS’s own investigations into avoidable deaths in their hospitals are inadequate. On Saturday a highly critical review by the Parliamentary and Health Service Ombudsman warned that bereaved families who had lost loved ones through poor care were being let down by “appalling” failures to properly investigate their deaths. Some of the worst cases which were identified included a woman who was left infertile after having one of her fallopian tubes removed instead of her appendix, and another one who had the wrong toes amputated.